Vocal music with text and words can be rather disturbing or distracting while watching picture book images also with text, like in my Fiat Spider picture book. Plenty reason for me to search for wordless instrumental music, hoping for a better match. Anyhow, I give it a try in seven new screen savers. that can be listened to HERE and the installation file (about 245 MB) can be downloaded HERE . that can be listened to HERE and the installation file (about 270 MB) can be downloaded HERE . that can be listened to HERE and the installation file (about 235 MB) can be downloaded HERE . for all Spider friends who prefer a silent screen saver instead of a musical one. For installation and configuration instructions, click Read more >> below. Installation of my screen savers is quite simple because all the Fiat 124 Spider Screen savers are self-installing programs. 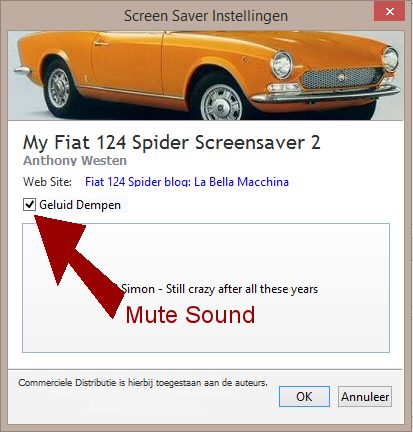 Double click this desktop icon or the .exe-file of the just downloaded MyFiat124SpiderScreensaver4.exe file ( 5.exe, 6.exe, 7.exe, 8.exe, 9.exe or 10.exe depending on your choice ) and the screen saver will be installed automatically. 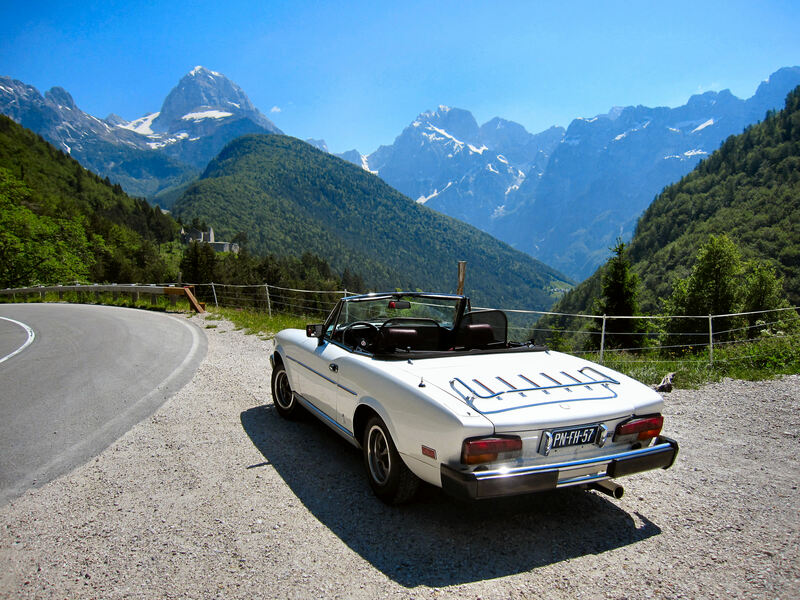 Enjoy one of my additional new Fiat 124 Spider screen savers.